Carl and Richard catch up with world famous cardiologist Aseem Malhotra in New York. Everything we thought we knew about heart health is likely wrong. 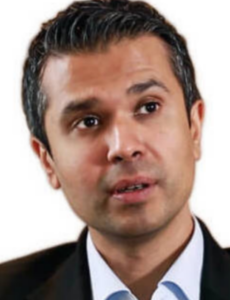 Dr. Aseem MalhotraKnown as one of the most influential cardiologists in Britain and a world leading expert in the prevention, diagnosis and treatment of heart disease, Dr Aseem Malhotra is successfully leading the campaign against excess sugar consumption. The award-winning NHS cardiologist has successfully motivated leading academics, the media and politicians to make sugar reduction a health priority in the UK by publishing commentaries in the BMJ and mainstream media.